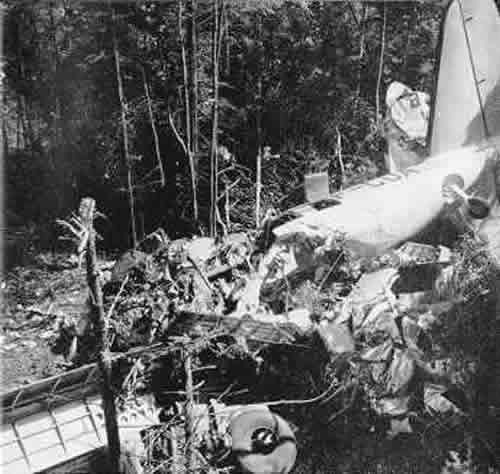 The wreckage of a Canadian Pacific Airlines DC-3 in Quebec, Canada on which Albert Guay placed a dynamite bomb in order to collect on a 10,000 dollar insurance policy on his wife. All 23 people aboard were killed. 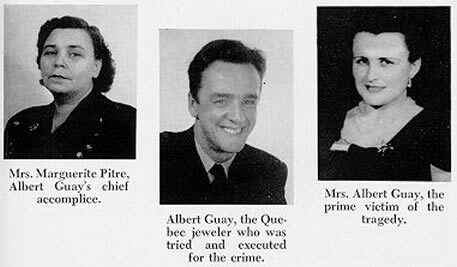 He, along with two accomplices were executed for the crime.